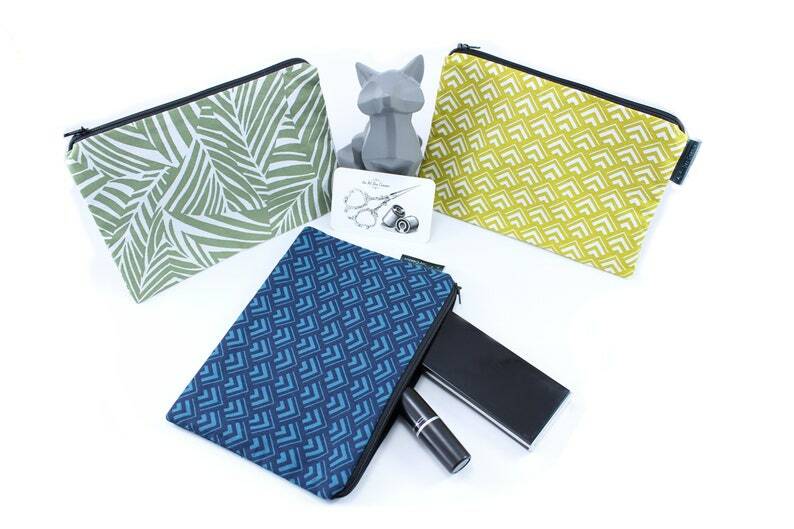 These flat kits are perfect for storing things that can carry your purse! They can also be useful for storing your makeup or your ID! They are made of cotton with geometric patterns. They are lined with a black cotton fabric and closes with a black zipper.